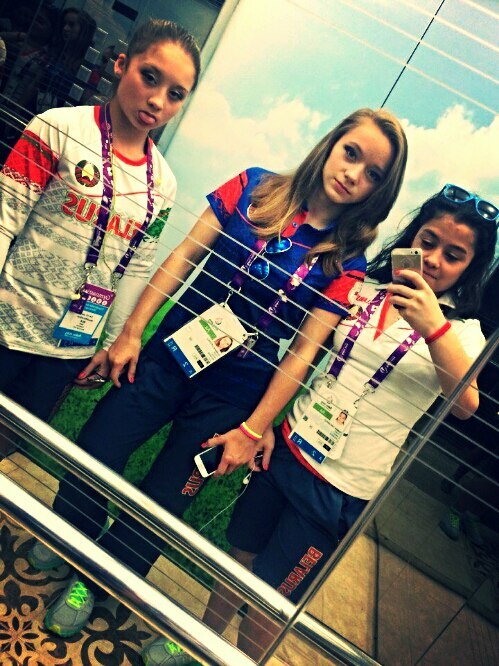 Over the past few days, the support we’ve seen for the Belarusian gymnasts has been incredible. Many have written in asking to learn more about the girls in this program, so here’s a little introduction to who they are and why you should get to know them. Sviatlana was a member of Belarus’ team at the European Games this summer, only 15 when she competed, turning 16 last month. Known as Svetik, she was also one of the two gymnasts on the nominative roster for World Championships. At the European Games, she had the best outcome of any of her teammates, earning a 47.332 in the all-around after looking especially clean on vault and beam. Born in the Ukraine, Sviatlana now lives in Gomel, Belarus. She looks up to the Russian gymnastics team, loves fashion, and speaks English very well. Valeryia is another new senior this year, born in Brest, Belarus, where she still lives today. She is the other gymnast originally named to the nominative roster for Worlds. Valeryia made her senior debut at the World Challenge Cup in Varna, and she competed as part of the junior squad at European Championships last year, where she impressed with her beauty on floor. 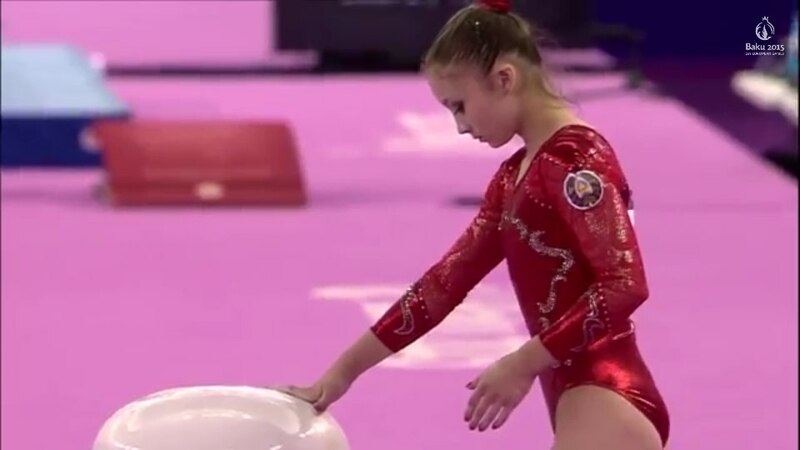 In Varna, she attempted to make the finals on vault, beam, and floor, but her lower difficulty kept her out and she had some unfortunate falls on beam, though that didn’t stop her from having a great time with her teammate in Bulgaria. Valeryia just turned 16 a few weeks ago, but has an old soul, quoting Dostoevsky when she’s sad and taking artsy black and white photographs of herself to share with friends. Natallia, aka Natashka, turned 16 in April. She is a super outgoing and fun gymnast, and a bit silly at times, always bringing the party with her wherever she goes. 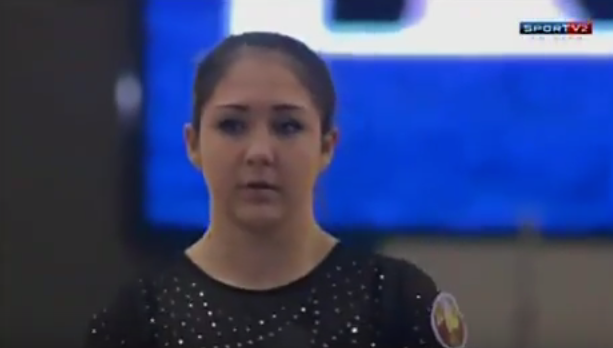 And she has an absolutely gorgeous beam routine. She became noted for this in her appearance at the Youth Olympic Games last summer, where she made finals on the event and was able to impress with some big skills, including a front tuck mount (which got applause from the crowd), roundoff layout, and a big double pike. She placed fifth there, about half a point from the medals podium, one of the best finishes Belarus has had internationally in recent years. As a junior, she also competed at European Championships, earning 48.198 with four steady routines, including her usual great work on beam and floor. So far in her senior career she’s earned attention for her performances at the Varna Challenge Cup and at the European Games in Baku. She attempted all four events in Varna, but had falls on bars and beam and just didn’t have the difficulty needed to make a final on vault or floor, though she came close on the latter, finishing 12th. At the European Games, she was noted for her happy and positive attitude even when things weren’t going her way. In the first day of team finals, she had an excessive wait for vault, but instead of freaking out, she smiled and waved at the camera, so excited to gain the attention usually saved for larger programs. And when one of her teammates was up on beam, Yakubava was in the background looking like Aly Raisman’s parents at the 2012 Olympic Games. She herself didn’t have the greatest performance with errors on her best events, but hit two very clean vaults – including an excellent piked tsuk – and finished well there. 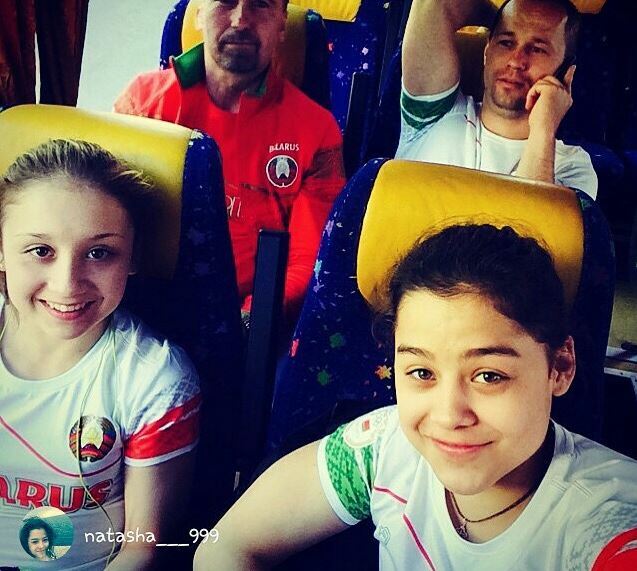 Aliaksandra Koshaleva with Natallia on the bus to the arena in Baku. Aliaksandra, who goes by Aly and Sasha, lives in Bobrujsk and turned 16 this August. She and Natallia are the best of friends, and they had a ton of fun traveling together for last year’s European Championships as juniors and then again to the European Games this year. She began competing in 2005 and trains with Tatsiana Labazanova. This year she competed at both the European Championships and the European Games, and really worked on improving her difficulty between the two. She has a nice beam routine with a 5.2 start value, one of the highest for her country, and though she struggled on some of her more difficult elements in Baku, she fought like hell to stay on. On floor, she performs to the same Hava Nagila music used by Aly Raisman. In Baku, she had excellent choreography, and hit her double tuck, punch front layout full, and double full for the highest floor score on her team. 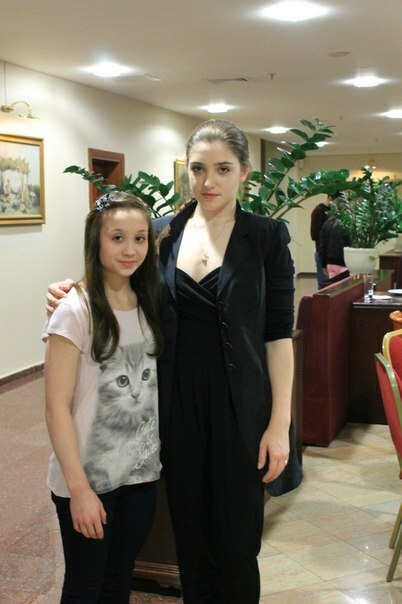 Aliaksandra was very excited to meet one of her heroes, Aliya Mustafina, at Euro Championships in 2014. Anastasiya, who turned 19 this year, isn’t actually super focused on gymnastics at the moment because she just got married! The gymnast from Vitsyebsk has a ton of experience behind her, however, and made it as one of two selected to represent her country at World Championships in Nanning last year. She began competing as a senior in 2012, and was originally named to compete at Euros that year but had to back out. She excels on bars, and although her difficulty is a bit low there, she normally competes cleanly and made it to event finals at the Doha Challenge Cup in 2014. She fell twice in the final, getting stuck on a pirouette both times, but it’s a very strong routine when she hits, which she proved in Ljubljana later that year. She made the vault and bars finals in Ljubljana, placing 7th for her very clean vaults and then winning the silver medal for her excellent bars routine. She also hit her best event at European Championships this year, the last time we’ve seen her compete. Anastasiya’s silver medal bar routine from event finals in Ljubljana. Here’s another 19-year-old Anastasiya from Belarus. The gymnast from Grodno made her senior debut in 2012 and has gained a wealth of experience over the years, competing internationally whenever she has the chance. She was proud to represent her country at both European and World Championships last year, although she was limited by slight injuries and could only compete bars. She does very well on this event, competing a solid 5.2 difficulty there and earning a 13.466 in Nanning, putting her in 48th place on the event – huge for her country. Anastasiya, known as Nastya, loves fashion and Beyonce, and looks up to both the Russian and U.S. elite gymnasts. The two Anastasiyas with their teammates at the 2014 European Championships. The women placed 17th out of 26 teams in Sofia. This is not a comprehensive list of all of Belarus’ team members, but instead focuses on those who have competed internationally this year. The team is also home to current seniors Hiafira Kazimirskaya, Yuliya Khramiankova, Nadzeya Mushynskaya, Lizaveta Naplekava, and Nastassia Zaitsava. They also have several promising juniors, including 2000 babies Maryia Kaminskaya and Katsiaryna Valnova, as well as 2020 hopefuls Aliaksandra Artsiukh, Anastasiya Harodnaya, Hanna Traukova, and Dziyana Tyshkavets. October 3, 2015 in Aliaksandra Koshaleva, Anastasiya Miklashevich, Anastasiya Yekimenka, Belarus, Natallia Yakubava, Sviatlana Lifenka, Valeryia Tsekhmistrenka. So glad you did this piece to at least get people to know the names and faces of these gymnasts!!! They have nowhere the resource of US elites but they still do great for what they have and have fun. Somebody please send this to Kwan and Dickson. Not trying to be mean to these two gymnasts, but that interview they did was as irking as it gets. Thanks for this article, Lauren. This is awesome. Thank you The Gymternet for bringing awareness to this situation. That team pic is very nice . If Baku is their last international comp then they have good memories & left a positive impression. Perhaps World Championships standard is a bridge too far but honesty is better than dishonesty. Accept that this is the face of Byelorusse gymnastics & appreciate it . Perhaps there ought be a qualifying comp to get to Worlds that would still be a highlight in these girls( & others) lives. Such a lovely group! Thanks for highlighting them. What Belarus should’ve done: send 3 Belarussian girls to Worlds, believe in their own girls and hope 1 of them secures an OG berth, send 1 Belarussian to the Games. Optimum opportunity for all. What Belarus did: send 2 Americans and no Belarusians, hope 1 secures a berth, send 1 American to the Games. Honestly, even if they are using the Americans to secure a berth that will be filled by a Belarusian, more opportunities would’ve been had by the first option. And i doubt they’re going to give an Olympic berth to a native team member if the whole point of ‘Operation Soviet Re-Union’ is to enhance Belarus’ standing in the sport and with the public. Thanks for this! It is great to get to learn about these gymnasts. Given the situation, I’m hoping that the Americans do well enough to secure a Rio spot, and that that spot goes to one of these Belarus girls. It would also be really nice if all of this could lead to an opportunity for a few of these gymnasts to come over to the US and train at AOGC for some time. I don’t know who would pay for that, but I feel that it could be a positive outcome of this whole strange situation. I get that this piece was done in response to the injustice to the Belarusian gymnasts, but I think this would be a great series to do with small nations. I’d totally do a Malaysia one! We actually have a series coming up after Worlds with lots of unknown gymnasts and nations! 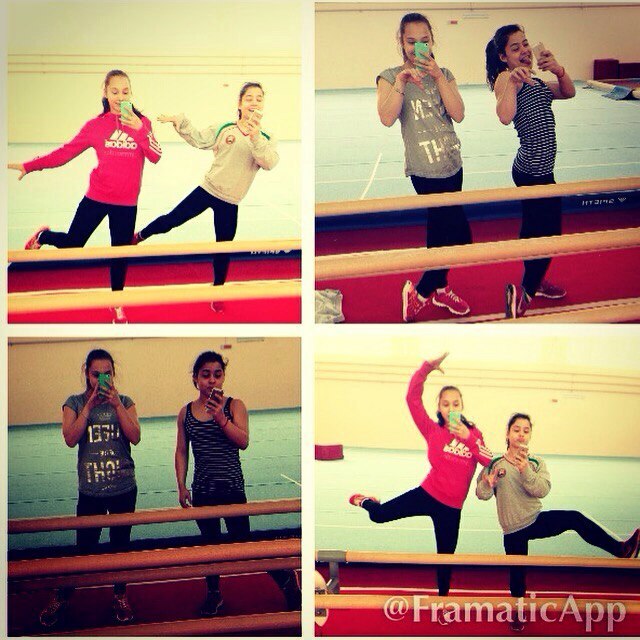 Is Belarus only allowed to send 2 gymnasts? How does the FIG decide which nations can send full teams and which can only send individuals? Teams had to qualify at last year’s Worlds by making the top 24. Belarus didn’t send a full team last year so they were ineligible to send more than 3 gymnasts this year. They chose to send two (same as last year, could be due to budget restraints).